I was reading an article not too long ago and it made me laugh. It was about baby boomers and their children. It asserted that today’s baby boomer children are hairier and more cuddly. Some even yelp a lot louder! Of course I knew what they were referring to – cats and dogs. Today more baby boomers are becoming parents many times over by getting pets. It seems adults love to play the parent role forever or at least adopt a loyal friend. I was looking into the types of pets baby boomers like to have in their lives. It’s funny how younger folks enjoy larger breeds of dogs whereas baby boomers enjoy the companionship of smaller lap dogs and cats. When asked why, many said they are easier to pick up and move around, especially if they need to take them somewhere or on a vacation. Also, some added that the smaller animals do less damage to furniture – they are not bulls in China shops! These pets are not just pets. They are members of the family! Often times, you can find them watching television with their owners, sleeping in the same bed with them and dare I say eating with them at the table? Also, some owners even dress their little guys and gals up just like them. These pets become extensions of their owners, perhaps “mini-mees” or the kids they always wanted to have, or the kids they wanted to be more like them! 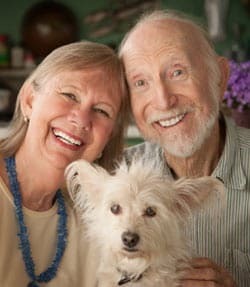 Pets are a great thing for anyone, especially baby boomers who feel neglected by grown up kids who have moved away. Some people, more so women experience what is called empty nest syndrome, when the last of their children leaves home. Many feel empty as they feel their role as mother/care-giver is gone. Furthermore, the house may seem so “empty” and quiet which means couples have to spend more time communicating or ignoring one another. See my article about fast food communicating here. Did you know that pets such as cats and dogs serves as great bridges for narrowing the gap in communication? Just having that pet gives the couple a sense of a renewed shared interest in the house. For men who were never really very maternal in their own child-rearing skills, pets help them to become more maternal. Many baby boomers are also single and live alone. Nothing can be more lonely than coming home to a quiet house. Having a pet in your house makes your house feel like a home! Did you also know that pets are great at helping people improve upon their own health? If you have a dog, you get to walk it or play with it outside. If you have a cat you can play with it as well. Some research shows that just being around animals has the remarkable ability to lower one’s blood pressure and help them feel more relaxed. It’s funny how people believe they are providing a great service whenever they adopt a furry creature. They indeed are and there are many loving animals out there who long for a new mommy or daddy. With that said, the joys, pleasures and health benefits the furry love of your life will bring you is priceless! 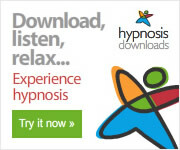 Start to refresh your parenting skills by checking out this MP3 session here >>>.